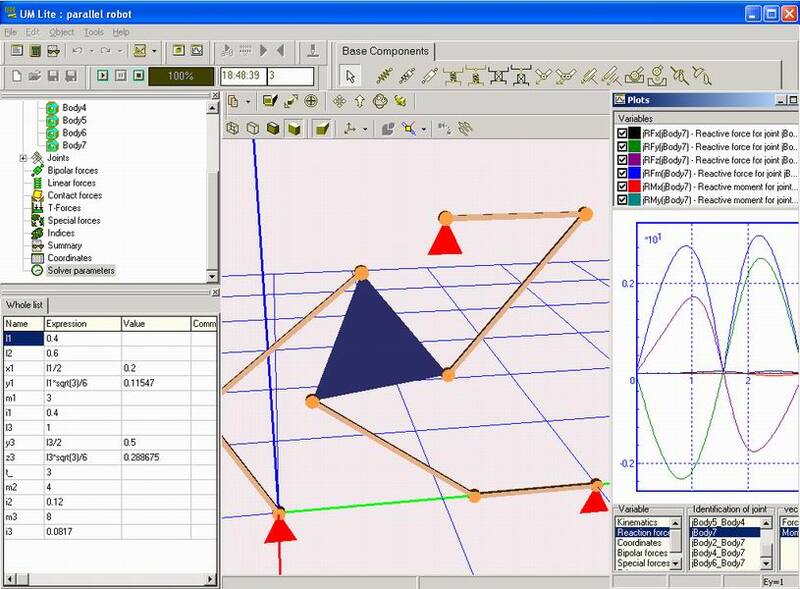 The program is intended for simulation of kinematics and dynamics of planar and spatial mechanical systems. Universal Mechanism Lite is a simplified version of Universal Mechanism software. Universal Mechanism Lite occupies a special place in the software product line of the laboratory. On the one hand, the concept of the program is the reflection of general principles laid in UM. On the other hand, functional capabilities of the program are restricted considering the specific character of this software. First of all, it is concerned the set of force elements and programming in the program environment. The program is intended for using by students and teachers for educational purposes as well as design engineers for express analysis of designed mechanisms in their everyday work. It does not need from the user any special knowledge and operates with well-known for any design engineer terms and ideas. All software products of the Laboratory of Computational Mechanics are considered here. 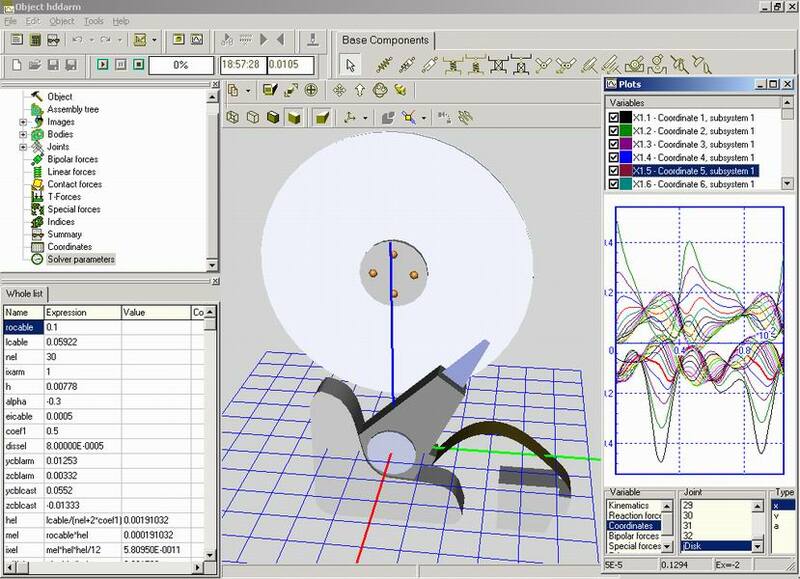 UM Lite supports data import from SolidWorks, Autodesk Inventor and Kompas-3D. From this point of view UM Lite may be considered as an inexpensive application for on-the-fly kinematical and dynamical analysis of designed mechanisms. You can find more detailed information about importing from CAD programs here. The program is oriented to practical engineers, students and teachers; in other words it is oriented to all people who are involved in problems of dynamics of machines and mechanisms. Mechanical systems are described by means of representing them as systems of rigid bodies connected by various kinematical pairs and force elements, so-called multibody systems. 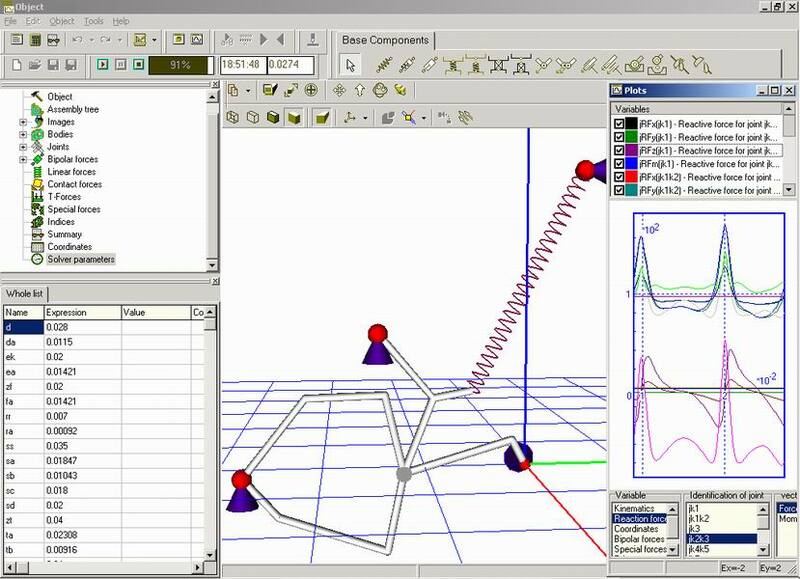 Online animation of motion and plots of dynamical performances are available during simulation. There are lots of measurable dynamical performances of mechanical systems: linear and angular coordinates, velocities and accelerations, active forces and moments, reaction forces etc. 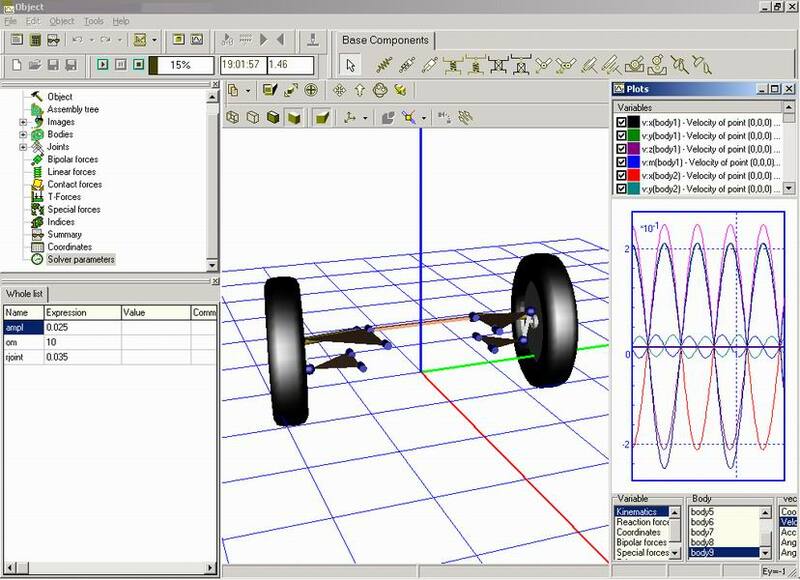 - To simplify the process of creation and analysis of dynamic models by making accessible the simulation of multibody system dynamics to wide circle of research engineers and designers. - To cut down expenses of library design to develop a mass-consumption product. - To make the interface of the program of multibody system dynamics simulation similar to the interface of CAD programs as much as possible. - To train a user for working with more complex and functional programs including UM program. Comparative analysis of possibilities of UM and UM Lite you can find here. * Personal and University license suppose usage the program for scientific and educational purposes only. Usage the software product for the purpose of profit earning is not allowed.